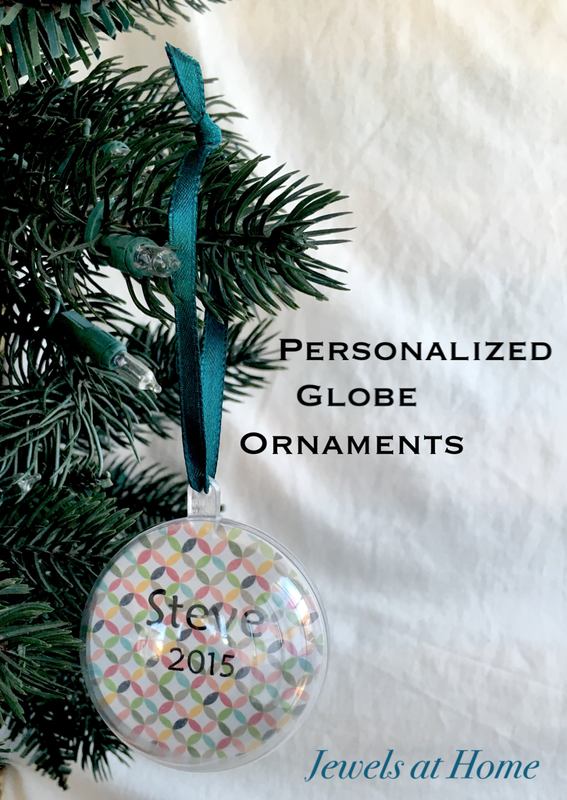 Every year, I create personalized ornaments for our family and friends. 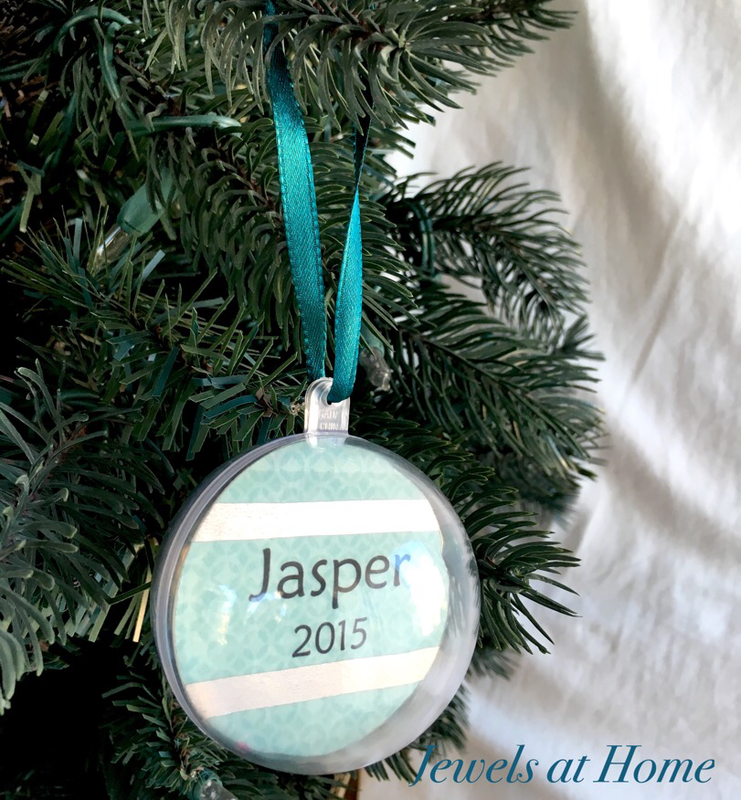 Usually, I keep it simple with some store-bought ornaments that I personalize with markets or fabric paint. 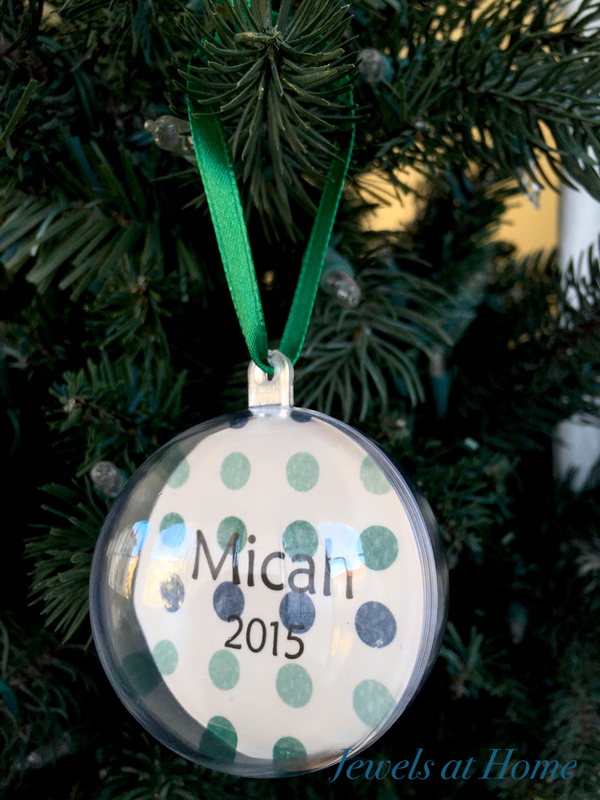 Tip: the felt ornaments are great for mailing! 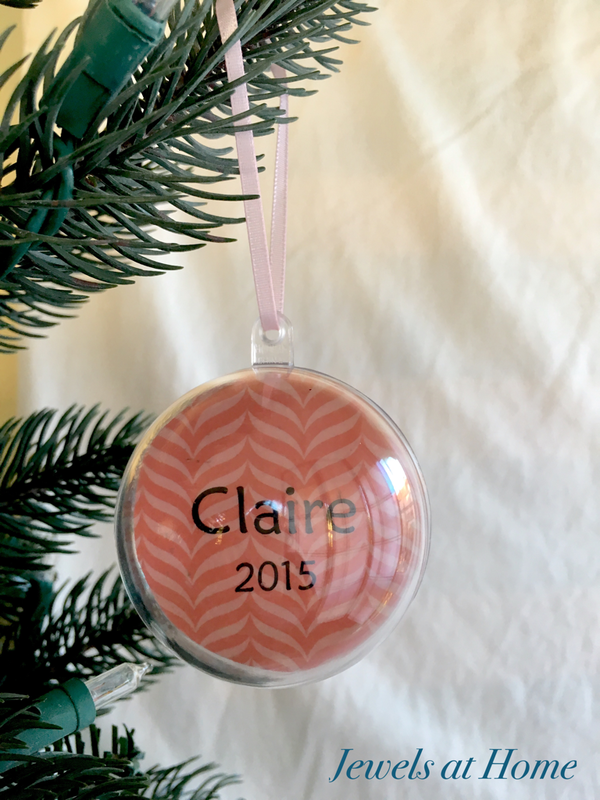 This year, I wanted to make globe ornaments that would fit with our retro mid-century theme and colors of red, pink, and turquoise. Clear 2 x 4 Inch shipping labels. I fit two names on each label. Scrapbook paper. This is a great project for using small leftover pieces of paper. You can add washi tape and other embellishments. 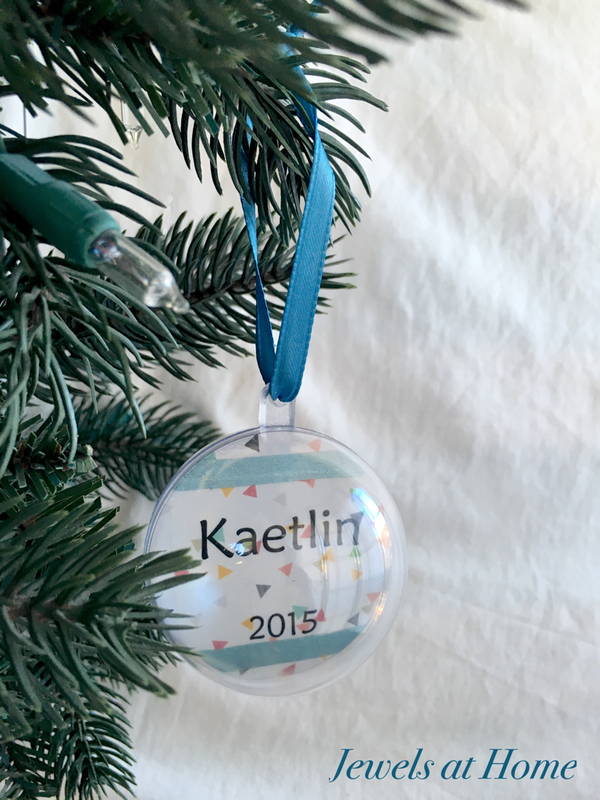 I started by printing labels with the kids’ names and the year on them. I was able to fit two names on each label and then cut the labels into 2″x 2″ squares. 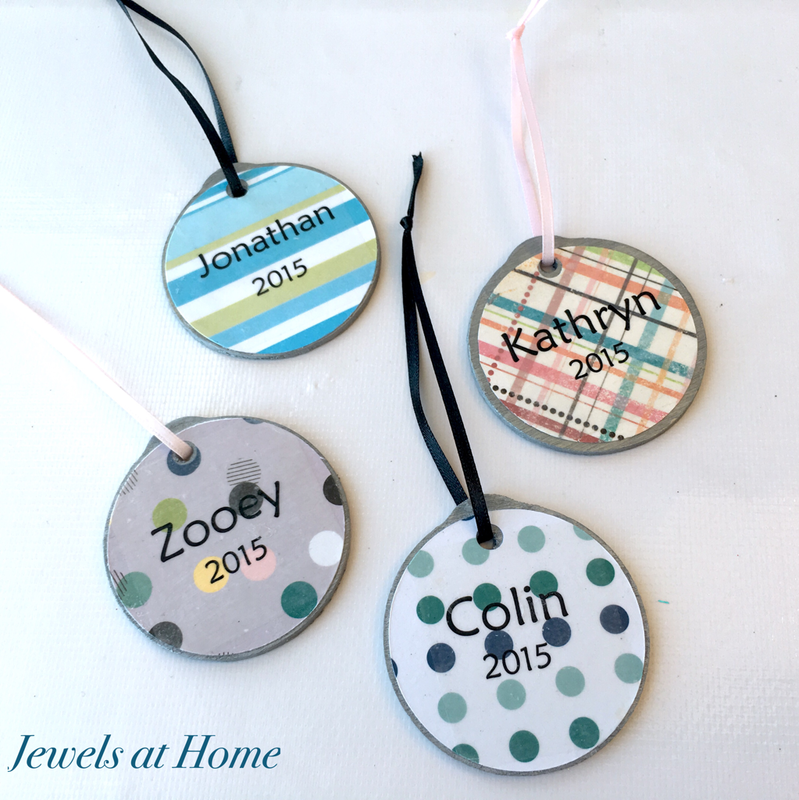 I then cut out and stuck each label onto scrapbook paper and punched out a circle around it. I punched a second blank circle in matching paper and glued them two pieces together. 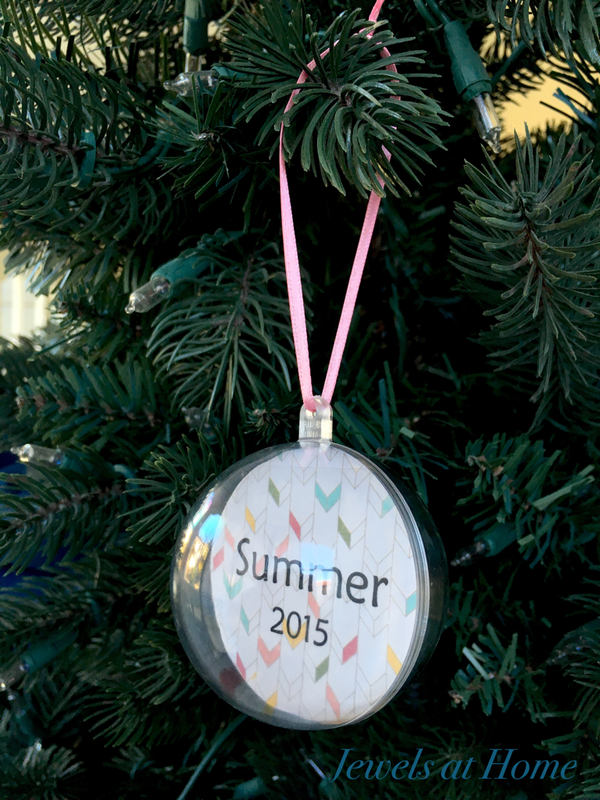 These circles fit perfectly into the ornaments! Since these ornaments would have been hard to mail, I also made some similar ones that are flat, for our friends who live out-of-town.